KARACHI: The lawyers of Sindh Bar Association (SBA) and High Court Bar Associations (HCBA) on Wednesday observed province-wide strike against the abolition of sections 22-A and 22-B by National Judicial Policy Making Committee at a meeting held under the chairmanship of Chief Justice of Pakistan Justice Asif Saeed Khosa. 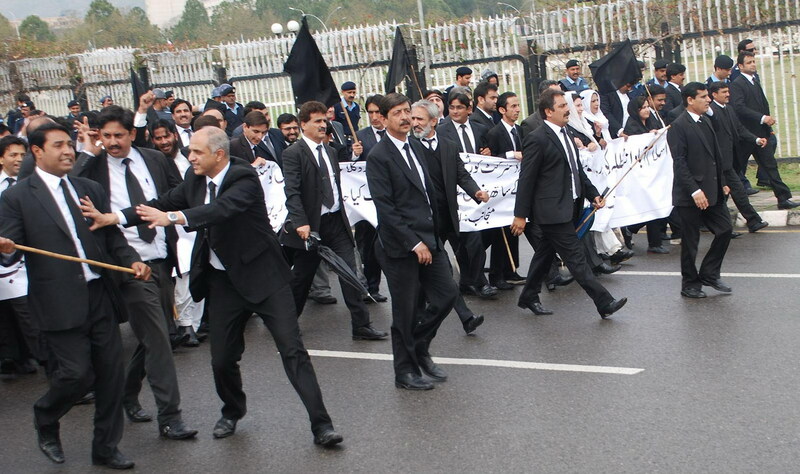 Bar associations’ representatives said that they were protesting against the abolition of sections 22-A and 22-B. The protest will continue until their demand is met. On 11th March, a meeting of National Judicial Policy Making Committee was held under the chairmanship of Chief Justice Asif Saeed Khosa in which the committee abolished the powers of session courts regarding hearing writ petition of 22-A and 22-B (Registering of FIR).